It was nice, nothing spectacular. The band didn't use the crowd's excitement enough and it felt awkward at times but the music was good as it was a nostalgia-fuelled throwback. You could say their performance was Halfway There. The year is 2004. You’ve just got home from primary school, you load up Sims Bustin’ Out on your PS2, your mum is cooking nuggets and Busted is on the radio. Life is good. Those were simpler times. And that’s what this tour from Busted was. A nostalgia trip. 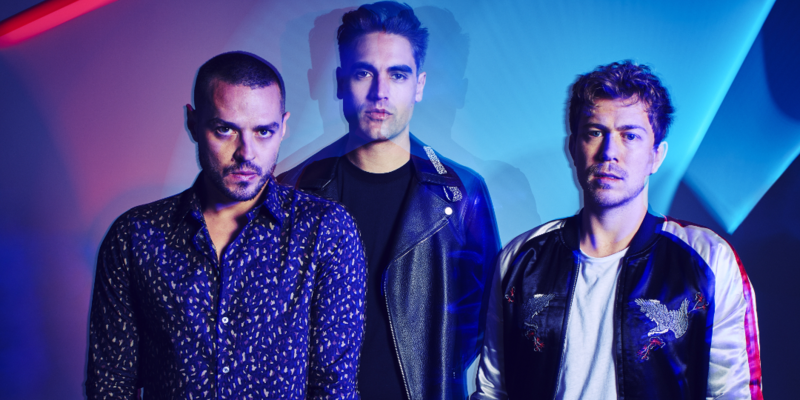 As the clock struck 9:04pm on the 25th March 2019 in Southampton’s O2 Guildhall, Busted were stood behind a translucent curtain, where the notable shadows of the pop-rock icons could be seen by an eager crowd of 18-25 year olds. They kicked off proceedings with their new material, in the form of ‘Nineties’. They then took us back to ’04 with the banger ‘Air Hostess’. The band interacted well with the crowd for a bit, but although I like Busted, I’m not their biggest fan, so them playing four quite obscure songs from both their old and new music was a bit difficult to listen to. I think they were expecting everyone to sing along, however, as not all the audience has the memory of an elephant, the singing of their earlier hits was a bit lacklustre due to only about half the room knowing the words. The band tried to breathe some life into the gig about halfway through by playing some of their bigger hits (‘Radio’ and ‘Thunderbirds Are Go’) to grab the audience’s attention again. It kinda worked, and their cover of ‘Free Fallin” by Tom Petty was beautiful. They then played some of their catchier new stuff like ‘Shipwrecked in Atlantis’ along with the bops ‘Crashed the Wedding’ and ‘What I Go To School For’. The second half of the gig was stronger than the first, as the band had warmed to the crowd and vice versa. In terms of showmanship though, there was one stand out: Matt Willis. He had a rapport with the crowd that the rest of the band could only dream of and witty one liners. Another criticism I have is the choice of songs to finish up with. I had never heard the song ‘3AM’ before that night, and I don’t think most of the crowd had either. Not really the vibe you want to leave the stage on; a mood of confusion and disappointment that their biggest track ‘Year 3000’ hadn’t been played yet. Luckily, the encore gave us exactly what we needed to end the night on a high. ‘Coming Home’ followed by ‘Year 3000’, the perfect contrast of old and new to send us on our way home happy. Overall it was an enjoyable night, but not a stand out. As the saying goes. don’t meet your childhood idols (or in this case, see them live), they can only disappoint you. Catch the video for ‘Year 3000’ below. 3rd year chemistry student and Online Manager for The Edge. I'm into gaming, music and TV; Essentially anything pop culture is my kinda thing.